The U.S. Air Force awarded Boeing $2.8 billion on Aug. 18 for KC-46A tanker low-rate initial production. The award includes the first two “production lots” of 7 and 12 planes respectively, as well as spare parts. Including future options, Boeing plans to build a total of 179 of the 767-based refueling aircraft for the Air Force to replace their KC-135 fleet. 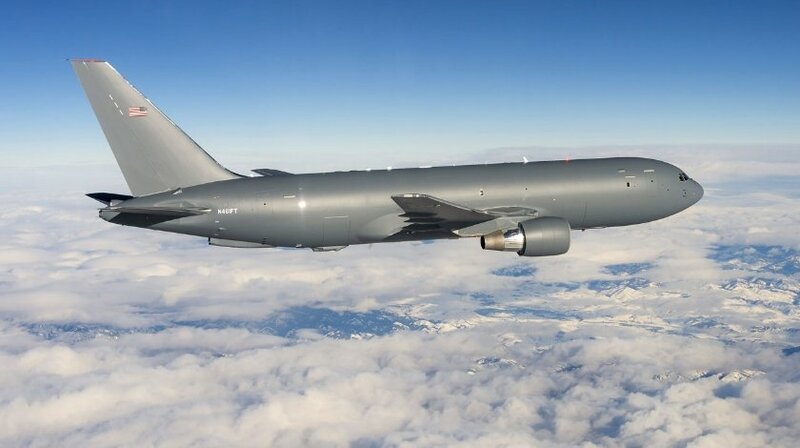 This step forward follows a Defense Acquisition Board review and announcement that the KC-46 program completed “Milestone C” — a set of required ground- and flight-test tests – and is approved for initial production. Those tests included refueling flights with F-16, F/A-18, AV-8B, KC-10, C-17 and A-10 aircraft and a cargo handling demo. Boeing received an initial contract in 2011 to design and develop the U.S. Air Force’s next-generation tanker aircraft. As part of that contract Boeing built four test aircraft – two configured as 767-2Cs and two as KC-46A tankers. The test aircraft have completed more than 1,000 flight hours to date. Boeing is assembling KC-46 aircraft at its Everett, Wash., facility. The company will begin delivering tankers to the Air Force in 2017.